The driving principle behind Swiggy is to revolutionize the restaurant-takeaway-delivery business in India. Food delivery in India is fraught with problems both on the consumer as well as the restaurant end. The problems on the consumer end range from reliability and consistency in service, restaurant unavailability and high minimum order values etc. On the restaurant end the overheads pertaining to the maintenance of a fleet of delivery staff, high rentals and marketing costs lend credence to disruption. Since then Swiggy has evolved as a leading marketplace connecting customers to their favourite eateries with the motto of “No customer goes hungry”. Swiggy is planning to set up kitchens jointly with restaurants for higher revenues. Share about the plan? 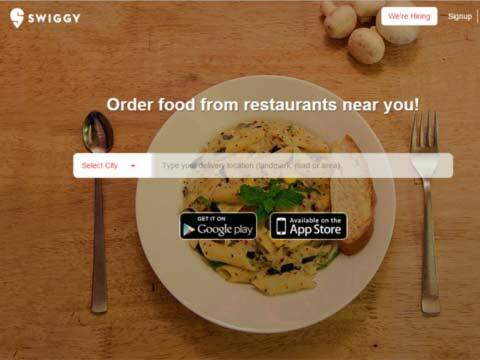 Swiggy intends to work with the best restaurants in creating delivery-first restaurants or cloud kitchens. The mechanism is still under discussion but the core idea is to help restaurants with generating demand and managing the logistics for them while the restaurants themselves can focus on the preparation of food. There are multiple means to achieve higher revenues-investing in these kitchens is one of the options. What are the challenges you are facing in the operation? Food delivery in India is a pretty nascent industry, having just taken off in the last year. Initial challenges include familiarizing restaurant partners to the business model, gaining customer traction to scaling the delivery fleet with individuals who understand the nuances of food delivery. We have come a long way since then and the traction we are receiving in new markets we are entering stands testimony to the fact that the restaurant delivery business is undergoing a major change. On what basis do you provide recommended menus to customers? In addition to personalized menus, users can also sort or filter based on their preferences corresponding to cost, time of delivery, rating, popularity, cuisine etc. We also have a set of recommended dishes from a restaurant along with accompanying photos which assist users in faster checkouts. Overall we are trying to optimize customer experience to enable checkouts within a minute. Besides these data-driven parameters, our visual menus guide customers through what we have picked as the best items from a particular restaurant. How much competition do you face from Zomato, Tinyowl or Foodpanda? Swiggy is not just a lead-generation solution but is also focused on solving the key problem of logistics in food delivery. Even the business model is different than the other players in the market. Swiggy’s objective is to integrate with restaurant partners and provide an optimal experience to our customers. Therefore, Swiggy has a no minimum order policy and is currently the only service in the market to offer live tracking of orders. How has technology played a pivotal role in making ordering seamless on Swiggy platform? Swiggy is a core-logistics platform and thus, leverages technology heavily in order to provide the best of services to the restaurants as well as customers. Customers currently have an option to place orders through either the website or the mobile apps (iOS or Android). We use other factors such as traffic conditions, historically determine preparation time of restaurants, location of delivery executives to “smartly” determine the delivery time promise to end customer. Customers can even live-track their order from time of confirmation to delivery on a map. Today, our service level agreement compliance is above 80 per cent and growing. To our restaurant partners, we provide a system which not just relays orders but provides them a snapshot of the financials as well as key operational metrics. Our delivery partners are equipped with state of art mobile technology that selects the best resource to fulfil the order apart from guiding him on the routes. On the back end, our analytics engine periodically mines customer data to understand user preferences, which helps us partner with the right restaurants. During the recent past, social media has risen to prominence, especially as a vital marketing tool. Since social media is now extremely popular, with huge numbers skimming through content for a large part of a typical day, it is a crucial tool to market through, for the sake of simply reaching a vast audience. Social media also provides clever targeting for increased viewership, helping marketing land much closer to the intended mark. We are already present in eight cities– Bengaluru, Hyderabad, Mumbai, Pune, Delhi, Gurgaon, Kolkata and Chennai. Our core objective is to ensure widespread proliferation in all the cities we are currently operational in. Then, we will plan to expand to four to six more cities within the next year. Our goal is to revolutionize the way India eat and in covering all major cities. "Our Green Park store is entirely run by special e..